Set in 1933, towards the end of the prohibition era to be precise, in America where guns, gangsters and crooked cops are in abundance we find Jack Malone (Michael McFadden). A long serving corrupt copper who is suffering with severe PTSD from his time spent as a sniper in WW1. Pretty much constantly drunk, when he’s not working he spends his time frequenting Rosie’s very popular whore house with his partner, Sam. At work they go round collecting the “luxury tax” from the various bootleggers and scofflaws in their area whilst also casing out the new speakeasy “Chesterfields”. All is not as it seems with this new place and when a delivery of what the police think is illegal booze is intercepted things take a turn for the worst when they realise the new guys in town are vampires with slightly more deadly wares than just moonshine and are more interested in the bodily fluids of the population of the town of South Hampton. 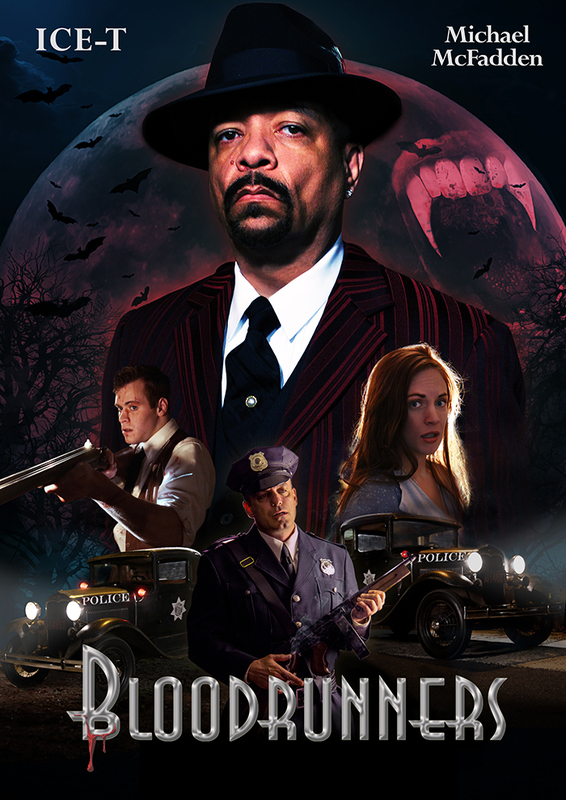 Boasting an impressive cast with Michael McFadden as the crooked but not unlovable cop Jack Malone it also has Ice-T as head vampire Chesterfield, and great performances from Chris Boylan as Willie and Airen DeLaMater as Anna, a young couple that end up in the middle of it all. Plus a hilarious show by Jack Hoffman as Luther a completely crazed, off his nut preacher who although is not in it much was one of my favourite characters. Quite fast paced with a lot going on which means we don’t see an awful lot of vampire action happening until nearer the end but when it does get to it the vampires are pretty cool. I mean there is something very attractive about men in sharp tailored suits, silk waistcoats and fangs right? This is a really fun movie which is fantastically well shot, acted and has great attention to detail in the costumes, set and great use of dialogue from the time although typically stereotyped. The music is great but most of the musical numbers featured are Jazz, which I hate with a passion, but it kind of had to done in keeping with the era so I’ll let them off and fortunately they don’t play too many of them! Not massively heavy on the gore, we see a lot of blood and a few melting and staked vampires but not a whole lot else. There is a mixture of practical and digital effects and it’s obvious to decipher which is which but it’s really not awful at all. 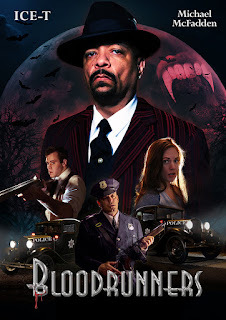 This is a different take on your average vampire movie and I think it has been pointed out that this could be the only prohibition era vampire movie about so check it out when you can; you will hopefully be pleasantly surprised. The Blu-ray/DVD combo pack, featuring 1080p video, 5.1 Dolby Surround Sound and bonus features will be available on the Bloodrunners official site.